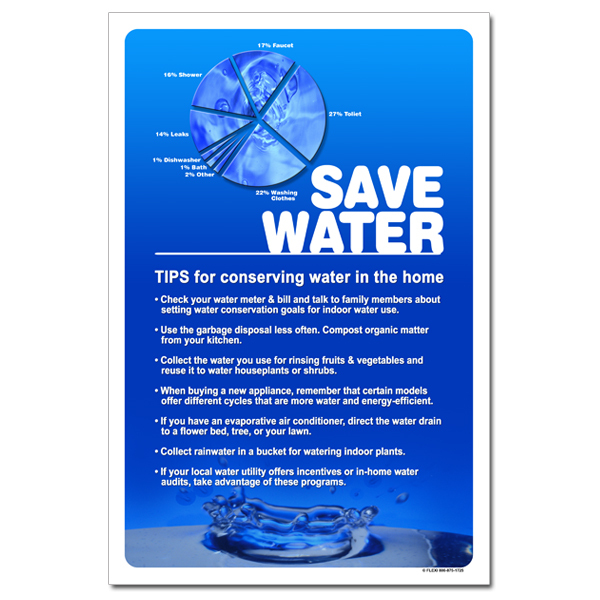 Theme: A splash of water against a pool of water and a pie chart with helpful water conservation tips makes this an informative poster for water conservation. 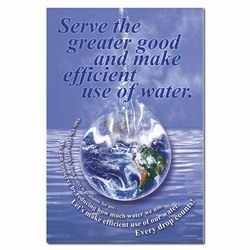 Message: "Save Water. 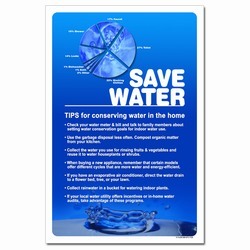 TIPS for conserving water in the home. 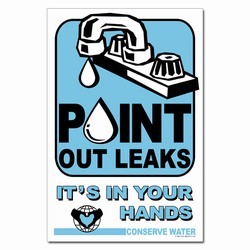 Check your water meter and bill and talk to family members about setting water conservation goals for indoor water use. 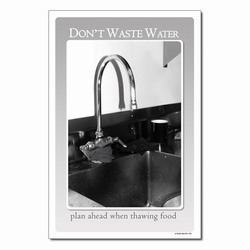 Use the garbage disposal less often. Compost organic matter from your kitchen. 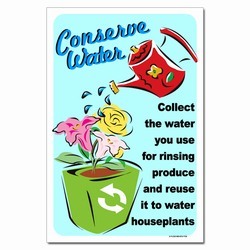 Collect the water you use for rinsing fruits & vegetables and reuse it to water houseplants or shrubs. When buying a new appliance, remember that certain models offer different cycles that are more water and energy efficient. If you have an evaporative air conditioner, direct the water drain to a flower bed, tree or lawn. Collect rainwater in a bucket for watering indoor plants. 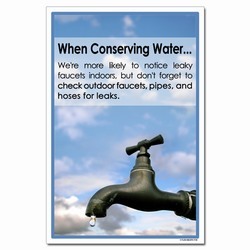 If your local water utility offers incentives or in-home water audits, take advantage of these programs."